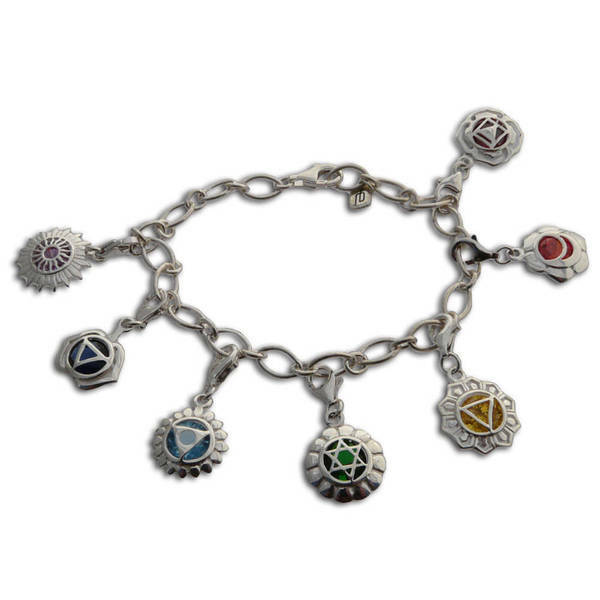 Accessorize with this fun Sterling Silver 7 Chakra Charm Bracelet with 8 mm Charms made by talented artisans in India. Made of sterling silver with a high polish finish, this bracelet features beautiful cubic zirconia gemstones in red, orange, yellow, green, turquoise, blue and purple. This adjustable bracelet will fit your wrist perfect for the best accessory to any outfit, casual or formal. Conscious ethical charitable ...with these qualities in mind and action, we have created a Fair trade business along with talented artisans committed to producing unique jewelry, positive for people and planet. This jewelry is beautifully crafted with pleasure by a small group of artisans in Thailand. Inspired by nature, spirit and love, we create the designs for people who appreciate jewelry with meaning and a story behind it while supporting advancement and sustainability. MUST include artisan.s story about artisan or group of artisans. Was not as good as I thought. The pictures were a little deceiving. I thought the bracelet would have been had larger charms. My wife liked it but I don't think it was worth the wait or the price.